Brittanie loves sharing her knowledge on natural health and beauty. It is possible to naturally darken your hair without the use of any harsh chemicals or going to the salon. These are some methods that you can use at home. These methods are all inexpensive and should cost no more than 10 dollars each. 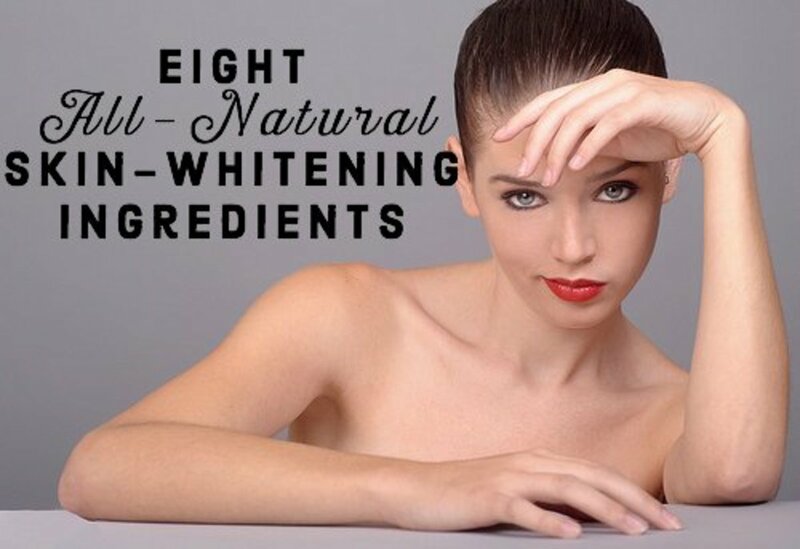 They are also all-natural, so the damage done to your hair is minimal in comparison to using harsh chemicals. You can darken your hair easily with coffee. Here's how. Brew some strong coffee. Three cups is the ideal amount. Let it cool down to room temperature. You can place the coffee in the refrigerator to cool it down quicker. 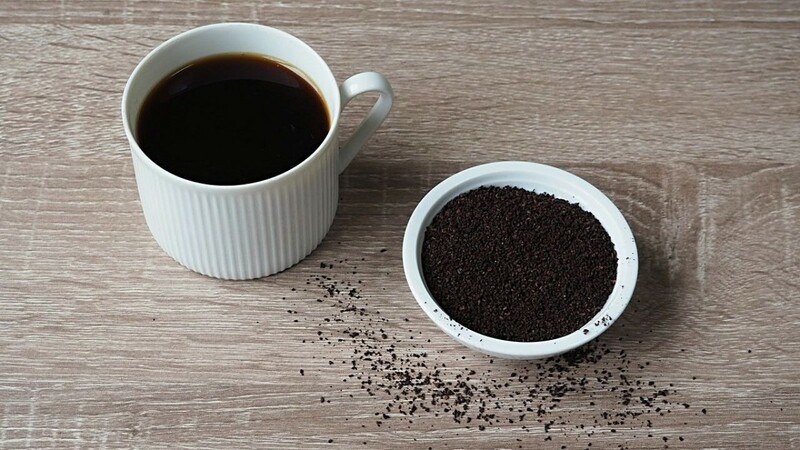 Pour the coffee into a bowl. You can then dip your hair into a bowl and hold there for a few seconds. Alternatively, you could pour the coffee over your head. You could stand in the shower or place your head in the sink. Rinse the coffee through hair three times. Wish and rinse the coffee out in the shower. This is pretty simple and you should see results quickly. The coffee should stain your hair. 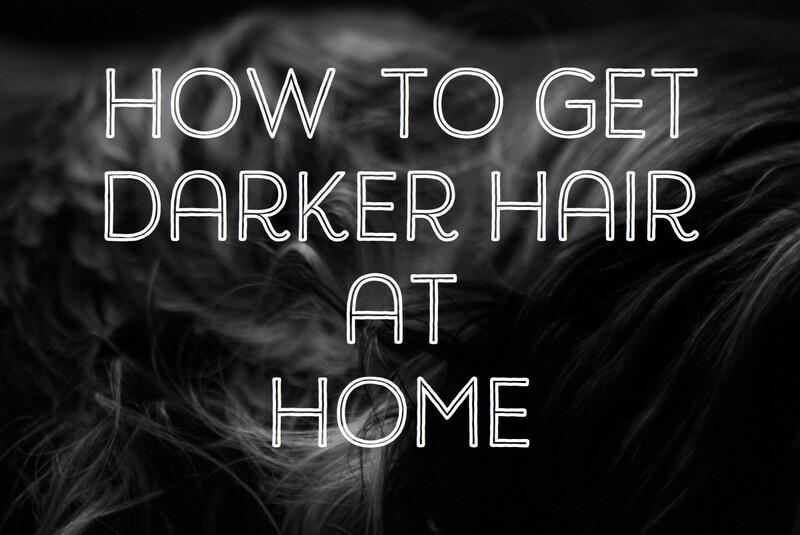 This only makes your hair a few shades darker, so if you are trying to make a drastic change, you are going to need to repeat the process a few times. Coffee can be used to darken all shades of hair, but the best results are seen in light and medium shades of brown. Here is a second method to using coffee. Brew two cups of coffee. Be sure to let it cool down to room temperature. Mix two cups of conditioner with 4 tablespoons of ground coffee. The mixture should look smooth. Soak your hair with the coffee. Make sure that your hair gets sufficiently wet. Use your fingers to add the mixture to your hair. Massage the mixture to your scalp to get all the roots. Leave the mixture in your hair for an hour. Afterwards, wash your hair to get all the coffee residue out. 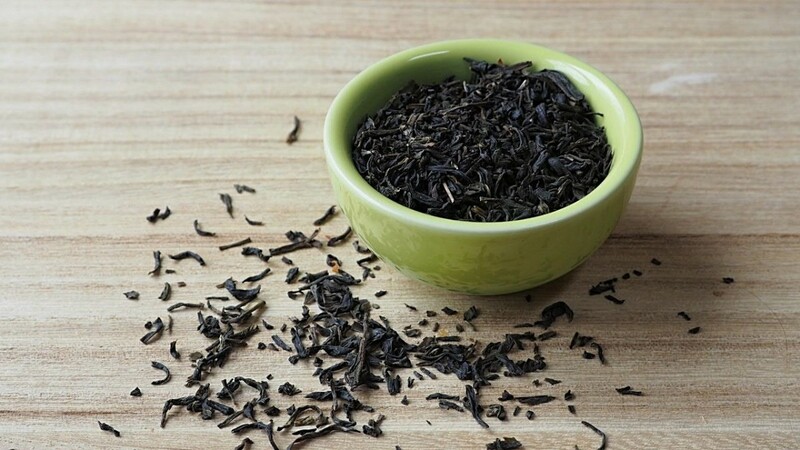 Black tea also has a staining effect on hair that can darken it. Brew a pot of some strong black tea. Let it cool down to a temperature where you can stick your fingers in without burning yourself. Put the tea into a bowl. The bowl should be large enough for you to put your hair into it. Soak your hair into the tea for about 15 minutes. This will allow the tea to absorb into your hair. Rinse the black tea out of your hair with water. Repeat this process daily for at least two weeks. You could eventually maintain the color with less frequent soaks. 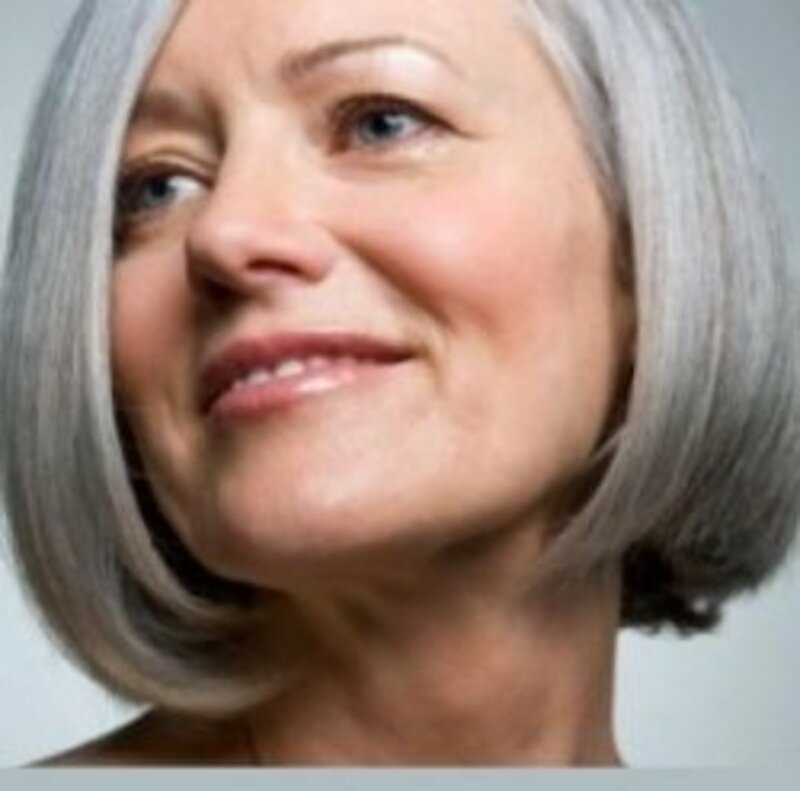 Your hair may lighten sooner depending on the quality of your hair. 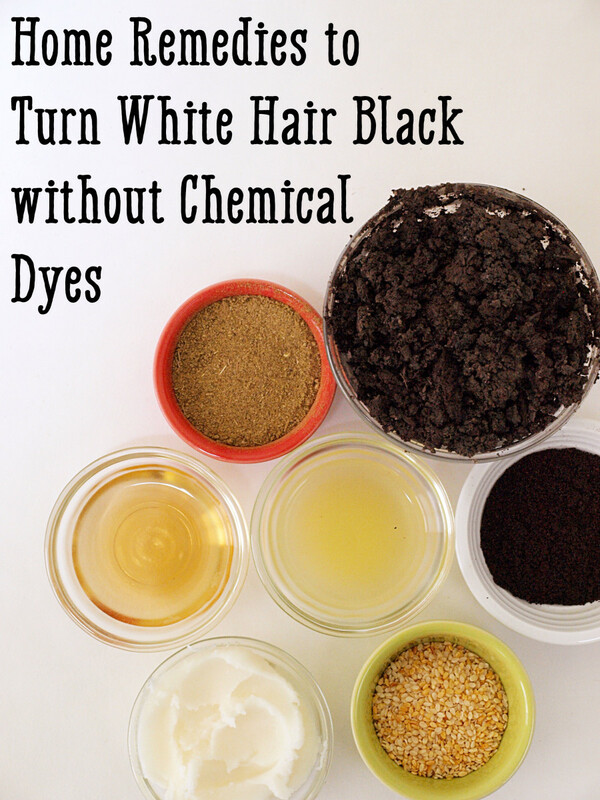 This is a great way to darken your hair a few shades. This method does fade quickly, so be sure to consistently perform tea soaks. Mix three tablespoons of loose black tea leaves with one tablespoon of rosemary leaves in 4 cups of water. Boil for about 45 minutes and let it cool. After shampooing, pour the mixture over your hair. Let it sit in your hair for at least 30 minutes while wearing a cap. Rinse the mixture out with water. Using walnuts, especially black walnuts, works really well. 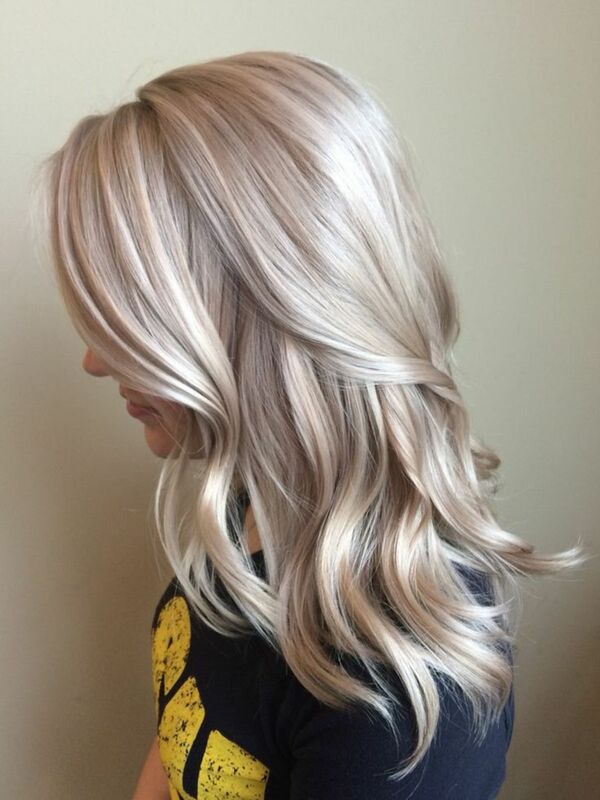 This is a great homemade coloring technique, even for blondes. 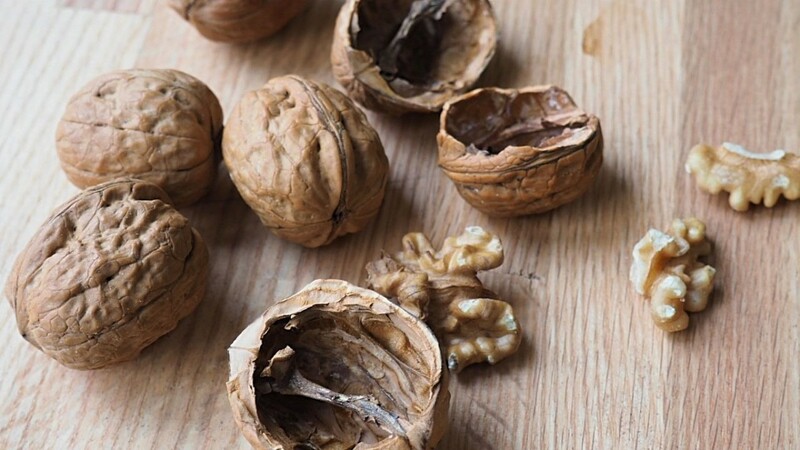 Crush some walnut shells. The more shells you use, the more darker and concentrated your mixture will be. Alternatively, you could use walnut powder. Put the crushed shells or powder in a pot of water. Boil the pot for 30 minutes. Let the water cool down. You could place the pot in a refrigerator to cool it down quicker. It should be cool enough so you can touch the water without burning yourself. Pour the water into a container with the use of a strainer. Apply the tinted water to your hair. Use a tool like an applicator brush or a cotton ball to cover your hair. Let the tinted water sit in your hair for at least an hour. You can let it sit longer if you want your hair to be darker. Wash your hair, preferably with some lukewarm water. Hot water can take out some of your color. This technique is messier than others. but it is very effective. Using black walnuts can darken your hair color drastically. 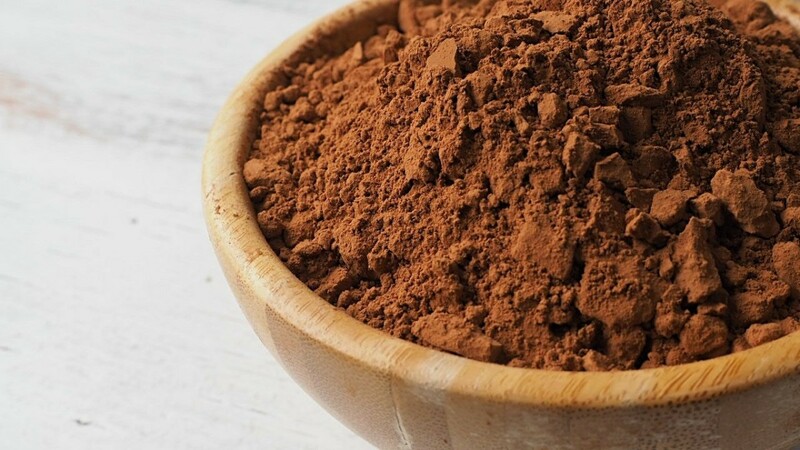 Cocoa is another wonderful all-natural product that can be used to make your hair darker. Pour 1/2 cup of cocoa powder into a bowl. Add a teaspoon of honey, a teaspoon of apple-cider vinegar, and 1/2 cup of plain yogurt. Stir the ingredients to create a paste. Shampoo and rinse your hair as usual, then spread the paste through your hair. Start at the roots and work your way through the tips to cover all your hair. Leave the mixture in your hair for about three minutes. Rinse out your hair without the use of shampoo. An alternate method involves mixing cocoa powder in your shampoo. You simply need to take out half of the shampoo in the bottle and replace it with cocoa. Shake the bottle to mx the ingredients and use the mixture as normal shampoo. Take a bottle of shampoo. Remove half of the shampoo from the bottle. Fill the rest of the bottle with cocoa. Shake up the bottle so it is mixed well. Use shampoo as often as usual. Cocoa will subtly darken your hair. The cocoa will bring out the natural deeper tones in your hair. This may not be the best method for those with very light hair color. This is great for light to medium brown hair colors. This method smells really good, making it one of my favorite ones to use. 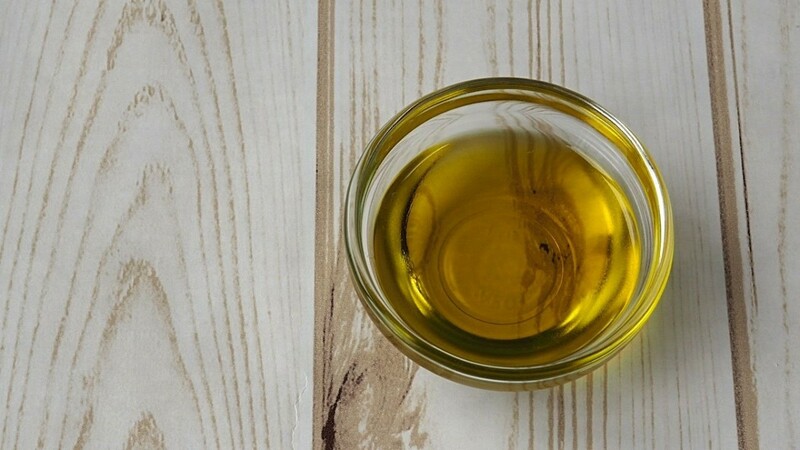 Here's how to use mustard seed oil to darken your hair. Be sure that you are using cooking oil and not the essential oil. The essential oil can cause skin irritation. Heat up the oil, either in a bowl in the microwave or in a pot on the stove. Don't make it very hot, it only needs to be a bit above room temperature. Using either your hands, applicator, or brush, apply the oil to your hair. Begin at the ends and work your way up to the roots. Make sure to evenly apply the oil through your hair. After reaching the roots, give yourself a scalp massage. The oil will help moisturize your scalp. Use a wide-toothed comb to help evenly distribute the oil in your hair. Wrap your hair in a shower cap and let it sit for at least two hours. Wish your hair out. Your hair will be very oily, so you may need to shampoo your hair twice. For best results, perform this process three times a week. This is a great way to darken your hair gradually over time. Results will show slowly, but no damage will be done to your hair. Mustard seed oil does not smell that great, so this is best done in the evenings. This works on all shades of hair. Sage is a natural herb that you can use to darken your hair. It needs to be used daily for the best results. 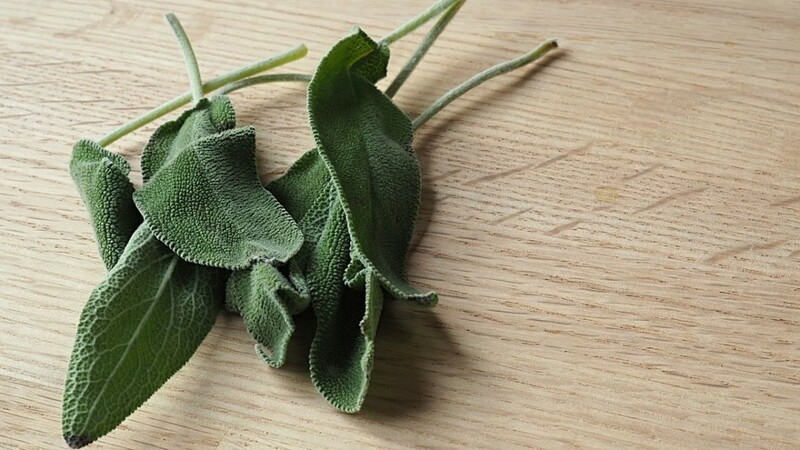 Place two cups of water and half a cup of dry sage leaves in a pot. Boil the pot for about two hours. Strain out the leaves and collect the infusion. Pour the infusion over your hair. Let it soak in for about 30 minutes. Rinse your hair out afterwards. This is a great way to darken your hair without causing a lot of damage. This technique is often used for grey hair. 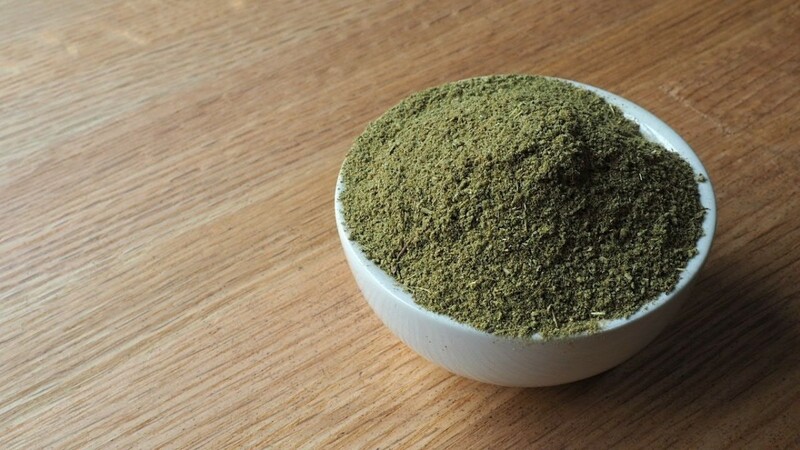 Amla powder is made from Indian gooseberries and can be useful in darkening your hair. Place two teaspoons of the powder in a bowl. Add in one teaspoon of coconut oil and one teaspoon of water, preferably hot water. Mix together until you get a smooth paste. Add three teaspoons of conditioner to the mix. Wet your hair and spread it out in sections. Spread the mixture in your hair. Make sure to evenly distribute the mix through your ends and roots. Put a shower cap on leave the mixture in your hair for at least 30 minutes. Wash your hair to remove the mixture. Don't use hot water as this can remove some color. Amla powder only has mild darkening effects, so you will need to repeat this process once a week. It may take some time to see results. Henna dye comes from henna tress. Pure henna powder is more of a reddish brown color. However, darker dyes with indigo mixed in are available. These are for people who are looking for more of a darker brown or black shade. Mix the powder with hot water. Keep mixing until you get a pasty substance. Put the mixture in a plastic bottle. Let it cool down. Once the mixture is cool, section your hair and start applying the mixture at the roots. Once the mixture is distributed, put on a plastic cap. Keep the mixture on your head for at least two hours. Rinse the paste off with warm water. Your hair may seem lighter initially, but it will darken in a few days. You may easily stain things with your hair for the first few days, like furniture or pillows, so be cautious. Henna could dry out your hair with extended use, so only use it on the roots in future applications. If you are trying to go many shades lighter it is probably best to see a stylist. But if you are only trying to go a few shades lighter you can use a mixture of honey, your usual conditioner and lemon juice. 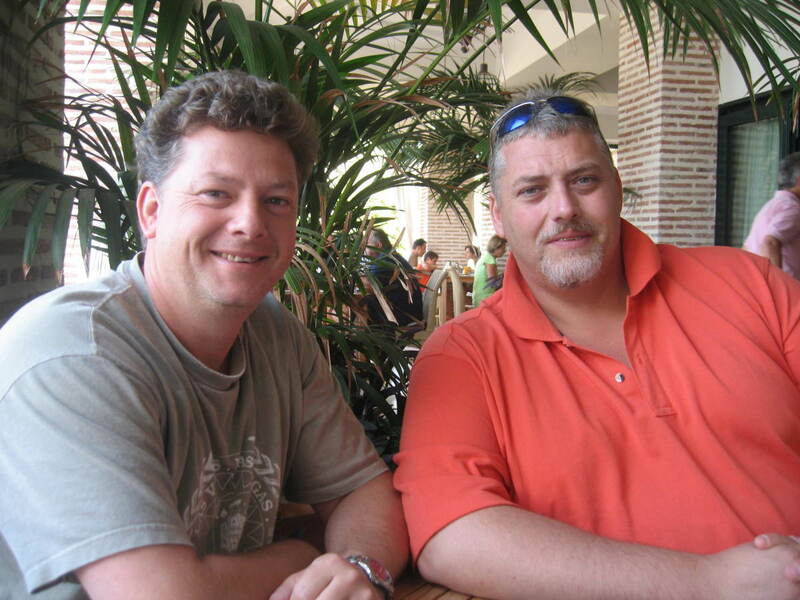 the results are subtle and lighten without causing damage. My hair is dark brown ,but I want it to be blonde... plz help me. This works and it doesn't damage your hair I loved this method!! will the coffee rub off on your pillow? or anything? I really need to get my hair black overnight,please what do I do? 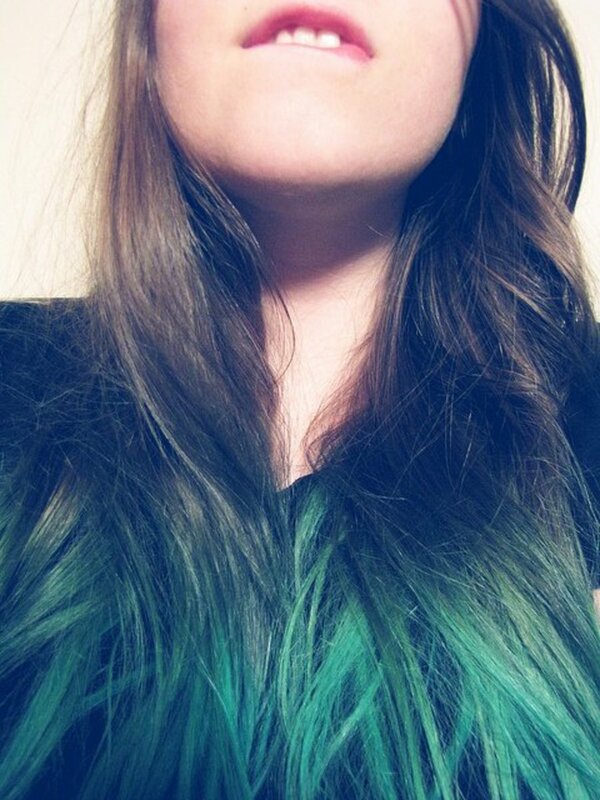 i dyed my hair blue but i bleached before that, and now it is green. i want my hair dark brown because my hair is like really dark blonde. which will help best? Thank you for providing these methods with concise instructions! One of the best resources I've come across. So far, coffee seems to make the most distinct change in one use, covers fading brown (becoming red and grey) hair quite well. No this will not not bring back blonde tones. If your hair is yellow from bleaching you could rinse in a small amount of purple food coloring or purple drink mix and that will get rid of the yellowy brassiness temporarily. So I bleached a few streaks in my hair and they turned yellow... will using the coffee bring back blonde tones? I know I am a man but What a great hub you have written. Makes me wanna try it out! I find this hub very useful.And I this coffee is the best option .voted up. Thanks! And I will try it hopefully it works, it would kill me to have to dye it again! If your hair is really light blonde they might not turn out as well. This is more of a tint it darkens whatever color your hair is temporarily. I would suggest using the sage or the method for lighter shades of hair. Does any of these methods work on bleached hair? I'm trying to grow mine out and don't want to dye it again. I will try the coffee as we always have leftovers in the morning. This was very interesting and thanks! So glad I read this hub, great ideas. I will try the cocoa in shampoo and the coffee since those seem to be easier. I always worry about damaging my hair and scalp with chemicals found in hair dyes. Thank you for your votes hope it works well for you let us know what you think after trying it out. Mustard seed oil works well. I never liked the smell and it lingers a little bit. For the best results try using this method once or twice a week. It will start to fade within a week or two so keep it up for as long as you want the dark tint. Yes you can but your hair will smell a lot like cofee. I would try putting the cocoa in your shampoo. I think sage might work but these recipes darken more to chocoalte colors I am not suree what will give you a silver tone sounds like a great new topic for a hub. I think I will start researching it now. Thank you! Yes sage can be a little time consuming but coffee is much quicker let me know how it works for you and let us know what you think. Great ideas. I use sage and it really works. But, like your recipe shows, sage has to be boiled for a long time, so I usually boil a lot of it at a time and then keep the extra in the refrigerator until I'm ready to use it. But, then it's cold when I get ready to use it. I like the results with sage, but it's such a hassle. I am going to try your coffee technique. I think I would try mustard oil method. And tell me several things about it. How many times should I use it in a week? How long should I try it? and other things that you know. Is there anyone who tried mustard oil method? Share your experiences. can you put coffee grinds in you shampoo? or would that not work? Great work. Share this of information is always appreciate, it can be done by a real nature’s lover. To find this type of rear fact is really hard work. I totally agree with you, use natural product is always beneficial. maggie - Let us know how it works for you! Trying the coffee one right now!!!!! thank you i appreciate reading. the fact that you can use natural ingredients instead of buying expensive and maybe damaging dye for your hair is amazing. Im surprised that you can use coffee and sage as a hair dye. I might consider using in the future. Thank you. Voted up. I have dirty-blonde hair. Would the coffee one work on my hair? For me, I think it would be the easiest one. And how often should I repeat this? I don't want super dakr hair. Great tips! I want to try the coffee one, but I've heard that it doesn't always work well. Are you just supposed to rinse your hair with it a few times, or should I leave it in for like an hour or two (with a shower cap) before rinsing it out? If your hair is very light this could be more difficult but I would try adding cocoa to your shampoo and see if this helps a little. You can also try mustard seed oil but it won't smell as good as cocoa. Oh my gosh! These tips are WONDERFUL! I love having dark hair but mine is naturally light brown, I try to avoid dying it as much as possible. Great tips for healthy dark hair! THANK YOU!! Awesome Hub! I'm definitely going to try the cocoa idea! Sounds like an awesome, inexpensive, good smelling way to a subtle change! Coffee will tint your hair a few shades darker but you will have to do this once a week to keep it up. I would try the coffee or cocoa to make it easier you could put some in your shampoo. If your hair is damaged at all try putting an egg in your hair for a half an hour this will make your hair super soft and healthy. Really good idea. I don't like using things with a lot of harmful chemicals in them so I will definitely give these a try. Thanks! I find these methods up, interesting and useful. Thanks . . . I will be trying the sage I think. Thanks for this, will try some of them as I'm growing out some dye, its only slightly lighter than my natural colour but I think I'll give these a go! Do you think the mustard oil is best to darken blonde hair? Wow, what really cool ideas! Maybe I will try one of them. I am thinking either the coffee or the cocoa. Just curious, does it work on gray strands if your hair is mostly brown?